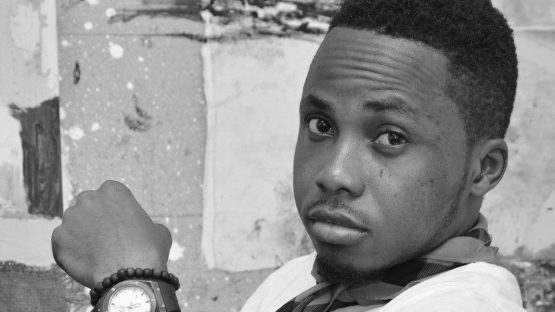 Gideon Appah is a young and perspective artist from Ghana who has been taking his national scene by storm in recent years, as well as progressively expanding into the international world of art along the way. He has been working with mixed media and salvaged objects for the past couple of years, a time that allowed young Appah to fully develop his conceptual basis and aesthetic features. Among many influences that dictated his creative decisions, Gideon admitted that his work is greatly affected by imagery and marks of temporary structures and informal signage of the sociocultural/economic landscape of Accra’s urban spaces. Just by throwing a single glance at Appah’s work, it becomes instantly clear that he relies heavily on abstraction, although almost every single artwork has some figuration or text in it. Due to this feature, combined with the fact that his work is vivid and highly detailed, it becomes a true delight to examine Gideon’s art from up close and one can easily lose the track of time when observing an assortment of this man’s pieces. Furthermore, it would not be an overstatement to claim that Appah makes works that are hypnotic to the viewers. 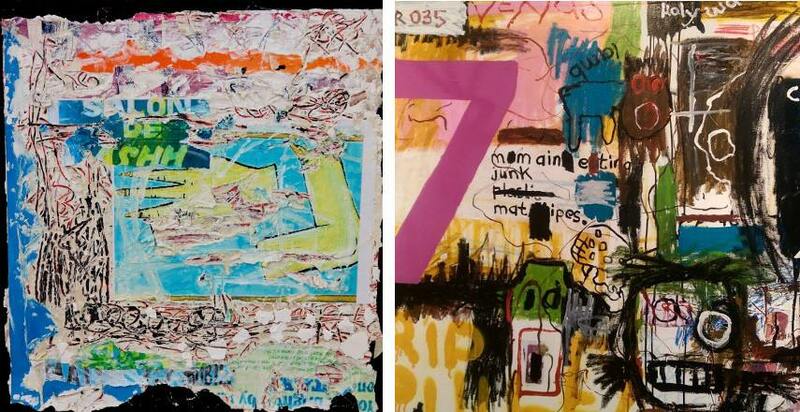 In many ways, Appah’s art is reminiscent of artists such as Jean-Michel Basquiat and Oscar Murillo. 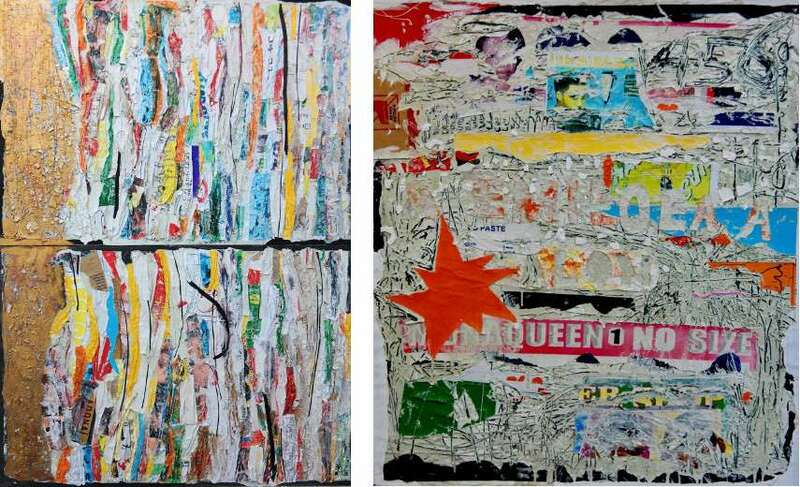 Using a myriad of tools including text, images, found objects and collage, Appah expresses his fascination and concern regarding contemporary media and popular culture. 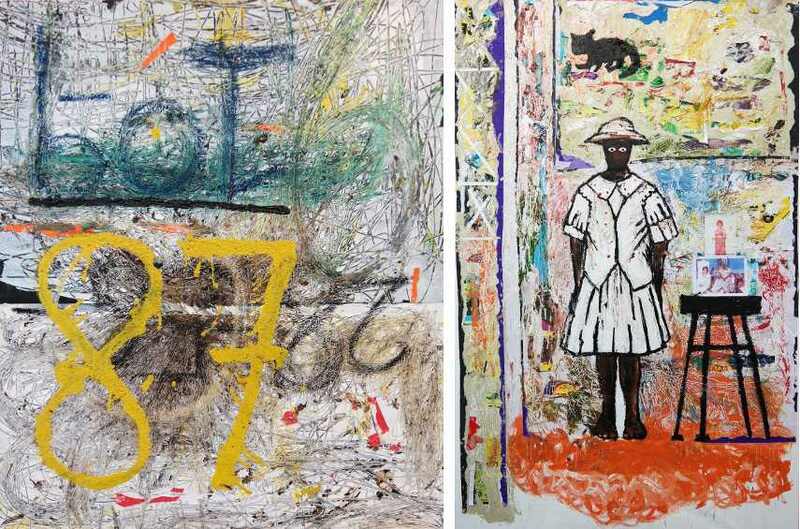 Besides the aforementioned inclusion of figures and texts, another regular element in his works is numbers and signage which he derives from the lottery palimpsest boards found on kiosks in suburbs of Ghana. Gideon expresses his ideas onto canvasses by a method of scratching through painted surfaces to reveal these marks whilst making additions of mixed media materials. He calls them Scrawl Paintings. With the generous support from both Goethe Accra and the Nubuke Foundation, Gideon Appah has recently emerged as the winner of the First Merit Award by Barclays L’Atelier 2015, becoming the first foreign artist to qualify in the history of the competition. Although very prestigious in its own right, we expect this award to be only a sign of bigger things to come – given his young age, talent and originality, Gideon Appah will probably be one of the leading Ghanaian artists in a few years. This artist is represented by LKB/G Gallery. Gideon Appah lives and works in Accra, Ghana. All images courtesy of LKB/G Gallery.